Eimeria is the object of Dr. Ralph Marshall's fascinationTo an outsider, studying Eimeria for a living is a far-from-glamorous job, but parasitologist Dr. Ralph Marshall considers the object of his work attractive, mysterious, clever and challenging. He even has a favorite coccidial species - Eimeria tenella. "Under the microscope, it has the most beautiful shape of all the Eimeria oocysts and a beautiful blue halo. It's as simple as that. I just love it," he says. The scientist heads up coccidiosis research at the Veterinary Laboratories Agencies (VLA), an entity initiated over 100 years ago in a small London office. Today, VLA is located in Weybridge, England, and is an internationally recognized veterinary research center. It is a reference laboratory for many farm animal diseases and conducts important studies for pharmaceutical companies. Marshall came to VLA in 1971 and compares his work studying Eimeria to his favorite hobby - bird-watching. "There are a lot of analogies between the two," he says. "I love walking out in the field and being able to identify a bird. And I love being able to look down a microscope and identify a parasite. Both have taught me the skill of observation, which is key to parasitology." Observation has also enabled him to witness an array of interesting developments over the years in the field of coccidial research. When anticoccidial chemicals were developed and marketed, it appeared to herald a "brave new world," he says. Then the problem of Eimeria resistance to anticoccidials started to develop. Marshall spent several years studying the problem. "Slowly we realized that these little parasites were winning. 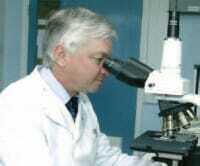 It was good fun working out the mechanisms of how the parasites were getting resistant to drugs," he says. "We managed to develop lots of resistant strains here in the lab. We actually had one that got hooked on an anticoccidial. If we gave this particular Eimeria strain to chickens that were fed a particular anticoccidial, the parasites lived. If we withdrew the drug, the parasites died. The drug seemed to keep the parasites alive," Marshall says. Recalling the advent of ionophores, he says, "The idea behind these drugs was not to wipe out the parasites completely." Around that time, however, Marshall experienced a time warp when he moved to another department within VLA and temporarily lost track of coccidiosis research. He returned to his beloved field in the 1990s to find a newcomer on the scene: the attenuated coccidiosis vaccine Paracox, which has dominated his life for the past decade. The poultry industry had difficulty adjusting to the notion of vaccinating poultry to control coccidiosis. "There was a total change in mindset from being told you have to get a drug to kill this parasite to then being told that you don't want to use a drug, you can use a vaccine instead," he says. "That was a difficult concept for producers to grasp." Today, coccidiosis vaccines are widely accepted in the breeder sector and in several countries, their use is growing in other segments of the market, including broilers and free-range laying hens, Marshall says. Eimeria photo courtesy of Dr. Ralph Marshall. Marshall has also been involved in testing new methods of administering coccidiosis vaccines. About 6 years ago, he headed up VLA's assessment of Schering-Plough Animal Health's SprayCox II, a spray cabinet technology for application of Paracox-5 to broilers. "We set up a cabinet that was like a giant sort of construction kit," he says. "We had about 700 or 800 birds that were vaccinated in large groups at once. Then we challenged them with field strains of Eimeria given at times ranging from about 2 to 7 weeks after vaccination. It was very successful and we published the results." More recently, Marshall has been involved in testing the efficacy of the spray cabinet for administration of Paracox-8 for broiler breeders as well as free-range egg layers, a development that would bring added convenience to farmers vaccinating birds in this segment of the market. For the study, birds were challenged with seven Eimeria species. The outcome is being determined by performance results such as weight gain as well as oocyst output and lesion scores. At this writing, the preliminary results looked good, he says. Another important aspect of Marshall's work with coccidiosis has been development of an anticoccidial sensitivity test to determine the level of resistance among Eimeria parasites recovered from the field. Birds on various anticoccidials are challenged with Eimeria field isolates and, again, performance and oocyst output and lesion scores will be used to reveal the sensitivity of each Eimeria species to the various anticoccidials tested. Studies in other countries, he notes, have demonstrated that resistant field strains of Eimeria can be replaced with the strains of Eimeria in the vaccine, which are still sensitive to anticoccidials. In other words, the vaccine can be used to revitalize a producer's anticoccidial program or it can replace the use of anticoccidials, which is especially important for growers raising antibiotic- or drug-free birds. At this writing, Marshall planned to initiate sensitivity testing soon. Similar testing has been conducted elsewhere in Europe and the United States, but never before in the UK, he says. "Our studies will demonstrate if the experience in the UK is likely to be the same as it has been elsewhere," he says. Marshall has been involved in testing new methods of administering coccidiosis vaccine, including the SprayCox II spray cabinet. Throughout the interesting twists and turns that have occurred during his career, Marshall never forgets the economic importance of his work. Eimeria and resulting coccidiosis has been estimated to cost the UK alone £35 million (51.5 million Euros or $66.2 million) a year considering production losses and the cost of anticoccidial control, he says. "With inflation, it's probably a lot more since that figure was established. The disease causes a huge, huge cost to poultry distributors." Eimeria, Marshall points out, is tenacious. If you leave coccidia lying on the ground in a chicken house, particularly in the UK where it's often cool and damp, it can survive for weeks and may resist normal cleaning and disinfection processes. With short turnaround times, this can present a problem for subsequent flocks. "It can be a very difficult bug to get rid of. The industry has found ways to contain Eimeria, but it comes with a price. "We'll never know all there is to know about coccidia. These parasites are just too clever for us," he says. There are also hidden costs from coccidiosis that aren't even readily apparent, Marshall says. Anticoccidial resistance has resulted in a subclinical challenge that knocks the edge off performance. Trials in the UK have shown that when broilers are vaccinated for coccidiosis with Paracox-5 and that challenge from resistant coccidia is eliminated, growth appears to blossom and there's an increase in live weight. "Considering that we grow 800 million broilers in the UK annually, better control of coccidiosis through vaccination could have a huge impact, but producers here, understandably, want hard data," he says. Marshall's work with vaccines has taken on new importance due to the movement toward drug-free poultry production. The arsenal of anticoccidials is shrinking and, he predicts, ionophore use may be reconsidered in the future. Producers still using anticoccidials need to make the most of the ones that are still available or they need to find alternatives. If they know they can successfully revitalize or replace their anticoccidial program with vaccination, "that would be great," Marshall says. In addition to changes prompted by the drug-free movement, animal welfare trends are also affecting poultry producers. More birds will be freerange and the sizes of cages and the number of birds reared on floors are growing, which could increase the coccidial challenge. That's why Marshall says vigilance is needed not only to keep up with coccidiosis disease patterns, but also to find improved control strategies that help producers minimize losses due to Eimeria. Apart from VLA, Marshall plans to be vigilant about traveling with wife Jackie, adding to the list of 40 countries they've visited so far. His most exciting trip was a safari in Botswana - hands down. "The animals, birds and ecology are fantastic," he says. Asked what observation in the bird world compares to the excitement of E. tenella's blue halo, though, and Marshall says it was finding a nesting pair of black stilts in New Zealand, probably the rarest shorebird wader in the world. "There are only about 80 of these birds left in the world, and I observed a breeding pair," he says.